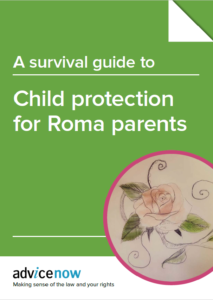 As part of our Multimedia Toolkit for Roma parents project we produced A survival guide to child protection for Roma parents. 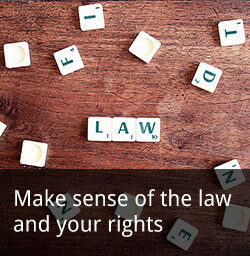 The guide covers key elements of the legal framework and the skills needed to fully comply with the child protection requirements. The project, funded by the Tudor Trust, is delivered in partnership with three Roma organisations: Roma Support Group (London), Clifton Learning Partnership(Rotherham) and Roma Community Care (Derby). The Roma community has been involved in all stages of the project delivery: from consultation about the their concerns and understanding in regards to child protection to involvement in the design of the guide. 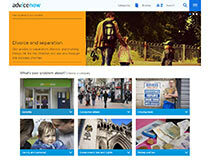 We will also make short community films about important skills needed to engage positively with Children’s Services. The films will be narrated by Roma community members in Romanes. We will then deliver three community training sessions for Roma community champions and advocates in London, Rotherham and Derby.